New Ag/Ti2SnC (Ag/TSC) composites with uniform microstructure were prepared by powder metallurgy. The superior wettability between Ag and Ti2SnC was confirmed with a contact angle of 14°. 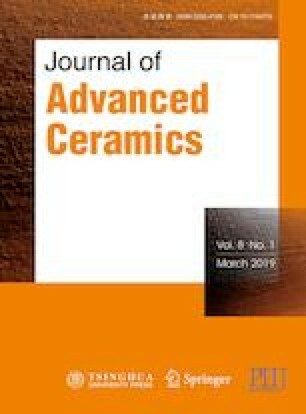 Arc erosion properties of Ag/10wt%Ti2SnC (Ag/10TSC) and Ag/20wt%Ti2SnC (Ag/20TSC) contacts were investigated under 400 V/100 A/AC-3 and compared with Ag/CdO contact. The Ag/10TSC contact exhibited comparable arc erosion property to Ag/CdO contact. The fine arc erosion resistance was attributed to the good wettability between Ti2SnC and Ag, the good heat-conducting property of Ag/10TSC, and the slight decomposition of Ti2SnC that absorbed part of electric arc energy. The excessive Ti2SnC significantly decreased the thermal conducting property of the Ag/20TSC composite, resulting in the severe heat accumulation that decomposed Ti2SnC and deteriorated arc erosion property. The oxidation behavior of Ti2SnC under high electric arc temperature was also studied and then an arc erosion mechanism was proposed to get a comprehensive understanding on the arc erosion property of Ag/TSC composites. This research was financially supported by the National Natural Science Foundation of China (Grant Nos. 51731004, 51671054, and 51501038), and the Fundamental Research Funds for the Central Universities in China (Grant Nos. 2242018K40108 and 2242018K40109) were highly appreciated.